> OnBase by Hyland > Don't let IT sprawl put your organization's future in gridlock. Manage growth with a master plan. 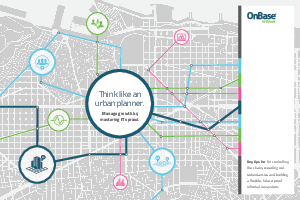 See how a master plan can help you cut IT sprawl down to size.